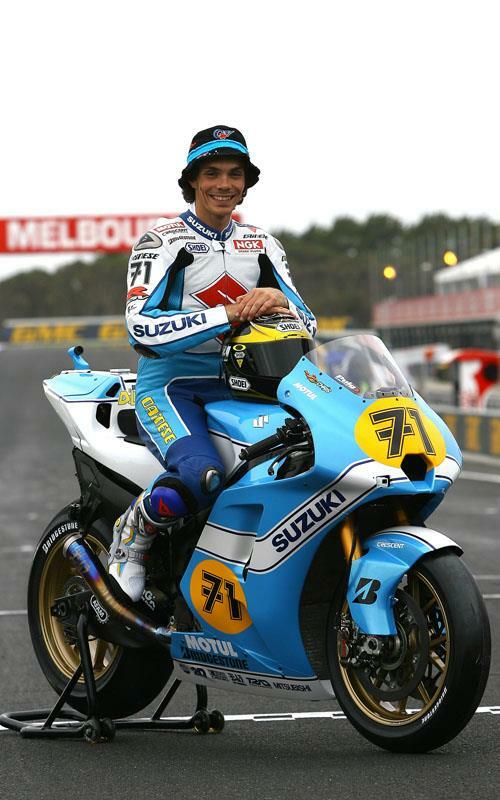 Rizla Suzuki’s Chris Vermeulen unveiled the one-off Barry Sheene paint-scheme he will use for this weekend’s Australian MotoGP at the Phillip Island circuit earlier today. The Australian is running his factory GSV-R in the colours double world 500 champion Barry Sheene ran as a Suzuki rider in the 1970s. He also has retro helmet and leathers in honour of Barry Sheene, who helped Chris Vermeulen get his big racing break in the British Supersport championship. Chris Vermeulen went onto become one of the top riders in the world and broke his MotoGP victory duck earlier this season with a brilliant victory in a rain-soaked French MotoGP in Le Mans. Chris Vermeulen, who finished second in Phillip Island last season, said: “Barry Sheene was a big help to me and got me set up in my career. 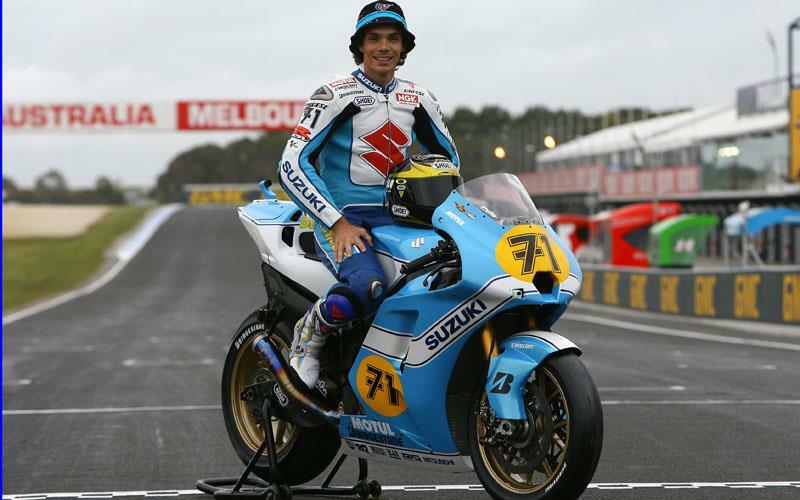 “He had a great association with Suzuki for a number of years. My bike looks unreal. I’ve got the leathers and helmet as well are all very similar to Barry’s and it’s going to be great out on track like that.